Your metaphor bears no resemblance to reality. But I'm sure that it represents somebody's twisted hatred. Is it your twisted hatred, or did you post it as a joke or a mistake? In my humble opinion it perfectly describes most Dim-O-Crats. Reminds me of the Abbott and Costello gag; 1 for you 1 for me, 2 for you 1,2 for me, 3 for you 1,2,3 for me. 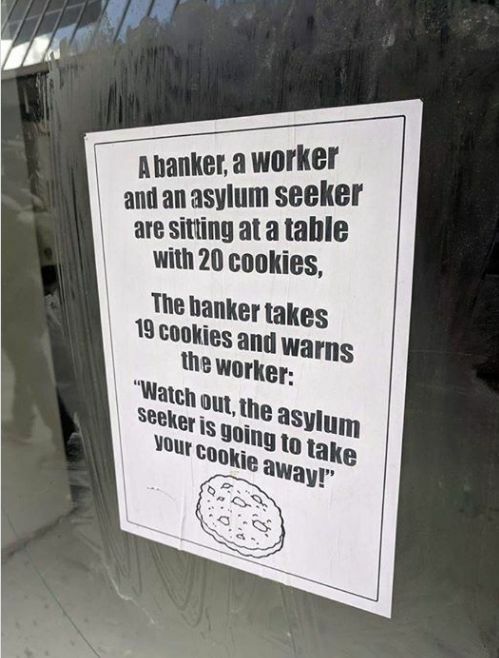 The banker must have been a Dem/liberal politician.